There’s something special about sitting back and watching a spectacular show on stage, why else would the West End, Broadway and Disney musicals have stood the test of time like they have? When it comes to event entertainment though, we believe it’s about transforming the feeling in the room, one person at a time. You want people to leave your event remembering it for all the right reasons. And as we so often say at Incognito Artists HQ, ‘people will forget what you say, they’ll forget what you do, but they’ll never forget how you made them feel’. So when you book your event entertainment make sure it’s engaging and interactive: let your guests be a part of the experience not just an onlooker! We promise you’ll see their smiles shine brighter and hear, ‘I have to come again next year,’ guaranteed. 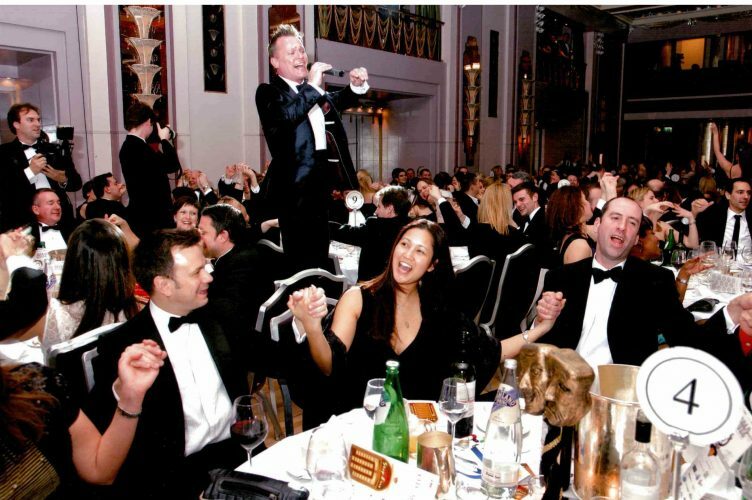 The crowning glory of event entertainment is songs – we all know and love these classics, and every time you hear them you can’t help but smile and sing along, albeit some of us louder than others! In case you’ve never had the sheer, cheesy, unadulterated joy of experiencing this, a ‘call and response song’ is where your performers sing one line and the audience answers with the next. Our West End stars’ favourite hits to get the party started are the Grease medley, I Got a Feeling and That’s Amore – but we can turn any tune into the most fun five minutes of your life, or at least your week. Picture the scene… Your guests hear a dramatic drum roll as the spotlight hits our charismatic leading man who instantaneously launches into a contemporary tap extravaganza. Adding momentum, he’s joined on the floor by fabulous flapper girls and tap dancing Tenors. Finally as the atmosphere reaches crescendo and they’re about to bring down the roof with this stunning show, we get everyone up on the dance floor to learn a few moves with our stars, culminating in an amazing Charleston-style finale where everyone’s a star. When your guests arrive, have our West End stars meet and greet them in full costume. Who doesn’t want to be welcomed into the room by Raoul? Or perhaps they’re more of a Roxy fan? With Incognito Artists it’s not a problem, we have it all! Our stars will circulate the room engaging people in conversation, taking them behind the metaphorical stage curtain and regaling them with tales of the West End, all whilst in full character. The hipsters out there might know this as immersive theatre. Then, before the night draws to a close, the very stars your guests have been interacting with all evening will put on a West End Spectacular; an array of song, dance and glamour as the performers make their way through some unforgettable highlights from the world’s greatest musicals. We love bands: Jazz bands, folk bands, rock bands, pop bands. They’re all awesome. But there’s something special about a roaming band. No wires or speakers needed, they can wander amongst your guests unplugged, serenading them, dancing with them, laughing with them. It’s always a winner. It helps that our ‘Club Acoustic’ is made up of four seriously good-looking, sensationally charismatic, super talented musicians who never fail to win over hearts with their cheeky chappie, interactive show.